Hair Removal waxing or shaving should be completed 24 hours prior to session. For 8 hours following the spray tan application, please don't do the following: no sweating, no swimming, no baths, no salt water, no work outs. Wait to shower 8-12 hours after application. For the first time, only use water in the shower to rinse, do not use soap or body wash. To get the longest life from the spray tan, be sure to moisturize daily. 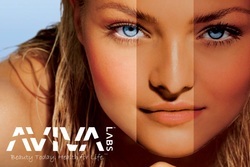 Your spray in tan color will not provide you with protection from tanning beds or the sun. A broad-spectrum sunscreen is recommended from protection against over exposure to UVA/UVB rays. The tanning solution contains color that may transfer to clothing, furniture, car seats or jewelry. The tanning solution is water-based so washing will always remove the color, with the exception of silk fabrics. We suggest bringing a towel to cover your car seat to avoid stains to clothing, upholstery or jewelry. 10 Composed of Eco Certified DHA (the European equivalent of U.S. organic standards). 18 Always fresh and come with a 6 month shelf-life guarantee. Contact us today for your beautiful spray tan!